GMAT - The Graduate Management Admission Test is a computer adaptive test (CAT) intended to assess the students in certain analytical, writing, quantitative, verbal, and reading skills in written English for use in admission to a graduate management program, such as an MBA in foreign universities. GMAT access your knowledge of certain grammar, algebra, geometry, and arithmetic. 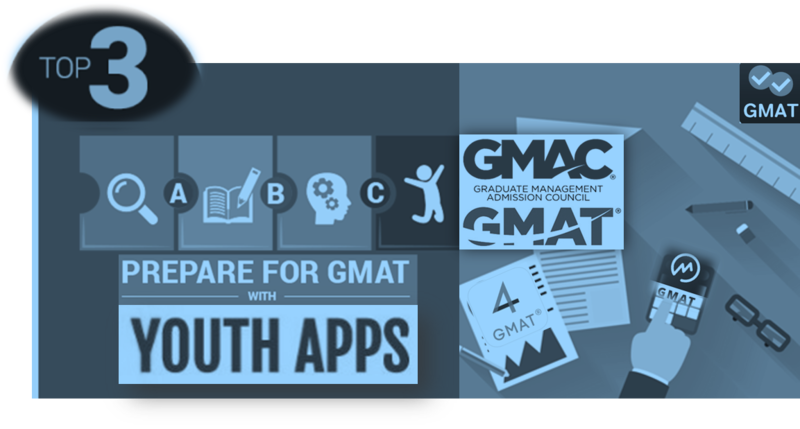 GMAT is conducted by the Graduate Management Admission Council (GMAC), the GMAT assesses analytical writing and problem-solving abilities, while also addressing data sufficiency, logic, and critical reasoning skills that it believes to be vital to real-world business and management success. So we get you the best and most useful 3 GMAT preparation mobile apps to support your GMAT preparation. 2018 will be make or break year for lot of student as the competition is going to get tougher and we at Youth Apps are also making efforts to provide you with the best of mobile apps which enables you to crack the GMAT Exam, so let look at the best of best Top 3 GMAT Preparation mobile apps. Manhattan Prep GMAT App has been released by Higher Learning Technologies Inc Education. The app description in Google Play read as "GMAT looming? Feeling overwhelmed? With the Manhattan Prep GMAT app you can maximize your study time and conquer the GMAT. This app features 1,100+ practice questions and immediate feedback so you can celebrate your strengths and focus in on any weaknesses." With the Manhattan Prep GMAT app, you can study for the GMAT anytime, anywhere. This app uses proven test-taking and study strategies so that you’ll feel confident and ready to go when test time arrives. No wonder the leading authority on the GMAT endorses our practice exams!. Begin your MBA journey and download Manhattan Prep GMAT. Manhattan Prep GMAT has been installed between 50,000 - 100,000 times by users at the time of this review and has an average rating of 4.5 in Google apps store. Manhattan Prep GMAT app has been reviewed by 625 Users and 437 users have rated 5 stars. Manhattan Prep GMAT app size varies from device to device and can be installed on any Android device running version 5.0 and up. Ready4 GMAT (Prep4 GMAT) App has been released by Ready4 Education. The app description in Google Play read as "Study for the GMAT anywhere and anytime with Ready4 GMAT (Formerly Prep4 GMAT). Download our app to access over 1,000 Verbal and Quantitative questions with detailed answer explanations, hundreds of flashcards, and customizable practice tests for FREE!" Your personal learning course helps you learn the critical concepts tested on the GMAT with detailed flashcards and practice questions. As you practice GMAT questions on Ready4 GMAT, the app tracks your performance and highlights your test strengths and weaknesses, helping you zero in on what you need to study in order to boost your GMAT score. It’s a smarter, more efficient approach to exam prep! Ready4 GMAT (Prep4 GMAT) has been installed between 100,000 - 500,000 times by users at the time of this review and has an average rating of 4.6 in Google apps store. Ready4 GMAT (Prep4 GMAT) app has been reviewed by 15476 Users and 10748 users have rated 5 stars. Ready4 GMAT (Prep4 GMAT) app size varies from device to device and can be installed on any Android device running version 4.4 and up. Magoosh GMAT Prep & Practice App has been released by Magoosh Education. The app description in Google Play read as "Thousands of GMAT students have improved their scores with Magoosh's world class video lessons and practice questions. 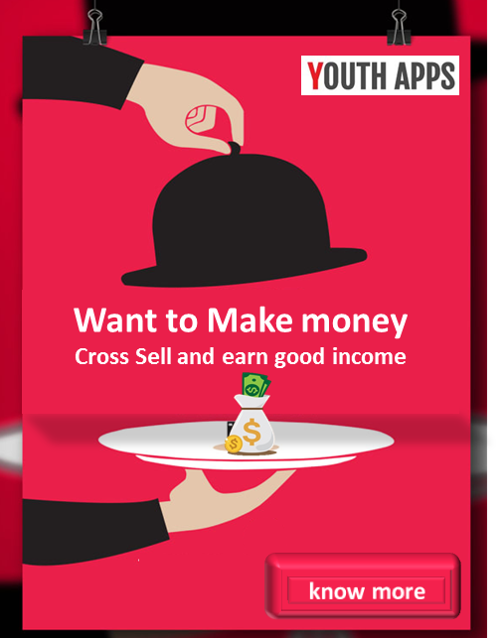 With this app, you can bring all of Magoosh's expert content with you on the go." Magoosh GMAT Prep & Practice has been installed between 100,000 - 500,000 times by users at the time of this review and has an average rating of 4.2 in Google apps store. Magoosh GMAT Prep & Practice app has been reviewed by 803 Users and 453 users have rated 5 stars. Magoosh GMAT Prep & Practice app size Varies with deviceB and can be installed on any Android device running version Varies with device. All the best for your GMAT Exam and get ready to be placed in Stanford, Harvard, Yale, MIT, Berkeley & PENN Universities with the best of best GMAT Preparation apps.